How To Photography: Luck is Where You Find It! No doubt, a constant mantra you hear as a photographer is that the more you learn and practice, the better photographer you will become. This is certainly a truism because a primary lesson of life is that success comes from hard work not waiting and hoping that something good would happen to you. That being said, luck, as difficult as it may be to define and quantify, is a real factor in life and photography. 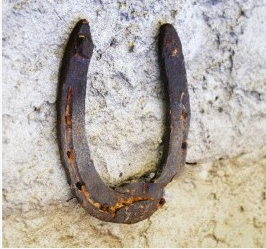 As any gambler will tell you: luck is a fickle master or mistress; you can’t control luck, but you can benefit from it when you understand how and when it may occur. This holds equally true with the element of luck in photography. At the risk of mixing metaphors, the old saying, “Some days you get the bear and some days the bear gets you,” applies to photographic luck. Whether it has something to do with the alignment of the planets or a special feeling in the air, luck will often make some of your best days for photography and also some of your worst. Perseverance and discipline are the qualities great photographers have developed to overcome the randomness of events. If nothing interesting and startling happens today within the confines of the frame, then they’re back on the streets tomorrow and the next day, trying again and again. Luck may continue to prove illusive, but they know it will never appear if they stop trying and stay at home. If you shoot journalism, weddings and other events, travel and street images or casual photos of family members and friends, then you know these photographic genres require that you capture events as they occur; generally you don’t control what happens, including the introduction of luck into the equation. So, the first lesson in luck is to realize that it is either an act of serendipity, or a sudden confluence of events that presents a one-of-a-kind image that is very unlikely to ever happen again; or an interesting composition or a single element captured within an image that isn’t recognized at the time you shot the photo. It’s only later that you realize an image that you may have thought was a yawner when you took it is actually quite extraordinary. This second form of luck is a very good reason you shouldn’t be hasty when discarding images, and to spend some time looking at all your images carefully following a shoot. Because luck is such an indefinite phenomenon, it’s important to realize how futile it is to expect it to happen. For some odd reason, luck often occurs for those people who disregarded it, don’t believe in it or certainly don’t think it will appear today. That being said, you can increase the odds of luck helping you capture interesting and even amazing images. During any kind of travel, street, sports or many other types of photography, you may be able to entice luck from wherever it hides by consciously looking for and shooting from a strategic position that brings more action and life within the view of your camera. All good photography, with or without luck, is also a matter of being a good observer, having a well-developed eye and mind to find and/or anticipate a great image. Compositional skills and timing are other skills you can acquire and improve that will also increase the likelihood that luck will shine on you today, tomorrow or whenever. Part of the observational and anticipatory skills you can develop relate to the ability to realize the photo of a scene has the potential to be extraordinary, but that one or more elements are missing to take it over the top. That is when timing comes into play because you must have the eye and the patience to wait for events to develop, but also capture that great image within the very short interval of time it reveals itself. As a photographer, you can’t practice luck or honestly actually look for it. As the Irish say, if you look directly at a leprechaun, then he will disappear; so you must look slyly from the side of the eye and fool the little fellow into thinking you deserve his favor. The same goes for luck in photography. It’s lurking nearby, but the best way to add its magic to your photography is to pretend it doesn’t exist.